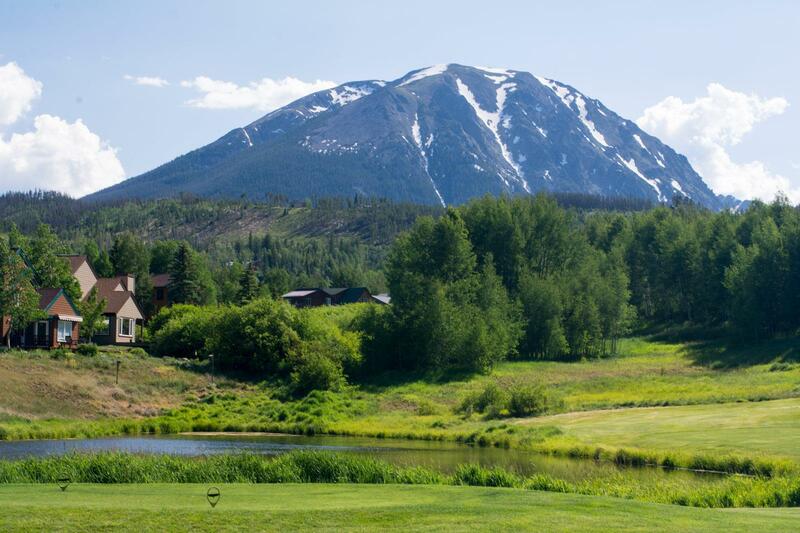 Single family homes on big lots, all custom built and situated around an 18-hole golf course is what you'll find driving onto Golden Eagle Road to the Raven Golf Course at Three Peaks. Here you'll be within of the Eagle's Nest neighborhood which is most noticeably made up of luxury single-family homes, but includes several small townhome groups, a few duplex subdivision and a few very small condo buildings. Eagle's Nest offers homeowners views of the Williams Range and the Gore Range in which they sit. From some lots their a spectacular view of Keystone ski resort, and all the way to Baldy Mountain at the south end of Summit County. The roads are gentle and paved, plowed in the winter, with plenty of pine and aspen trees to provide shade on this leeward side of the ‘Blue. 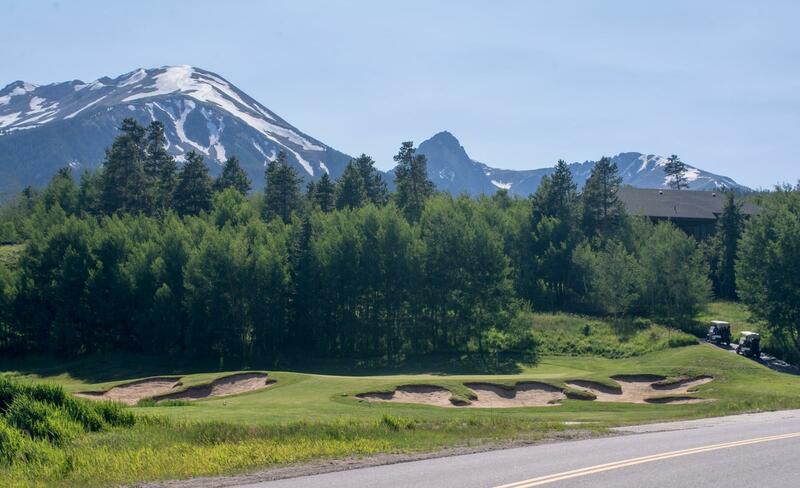 A maze of winding streets curve around the golf course called The Ravens Golf Club at Eagles Nest - and are generally known as the neighborhood Eagles Nest -- the same name as the wilderness that lies close by, to the west, and climbs up and over the Gore Range. One section, mostly Filing #4, is known as Three Peaks and is the western most area of the neighborhood backing on national forest - and the least developed to date. While this is a rural, and private neighborhood of single-family homes on large rolling lots, it has all the conveniences of a modern neighborhood with paved streets, that aren't too steep, and all the utilities available in an urban setting (electricity, natural gas, sewer, water, cable). In 2017, a Verizon cell town will go online within the neighborhood. The roads are gentle and paved, plowed in the winter, with plenty of pine and aspen trees in its creeks and draws to provide shade on this leeward side of the Blue. From the upper roads of Eagle's Nest one has views to Keystone Ski Resort and Lake Dillon as well as the Williams and Gore ranges. Homes here were each custom built and offer a unique variety of styles from a few modern homes to grand log cabins. Built primarily in this century, the homes are large and whether they mimic styles from the 1800s or not they will be made of modern materials - wood, with stone accents and often metal siding that is reminiscent of the Colorado mining era. remain open throughout this sparsely populated neighborhood. Bike paths are part of the neighborhood and make it easy to link up to the paved path that runs up and down the Blue River from this neighborhood into the town of Silverthorne. Trails lead into the adjacent Eagle's Nest Wilderness so hiking and cross country skiing are right out the door. In the winter, the golf course doubles as a Nordic Ski Center. The neighborhood has a small annual HOA fee, which includes access to a community center. 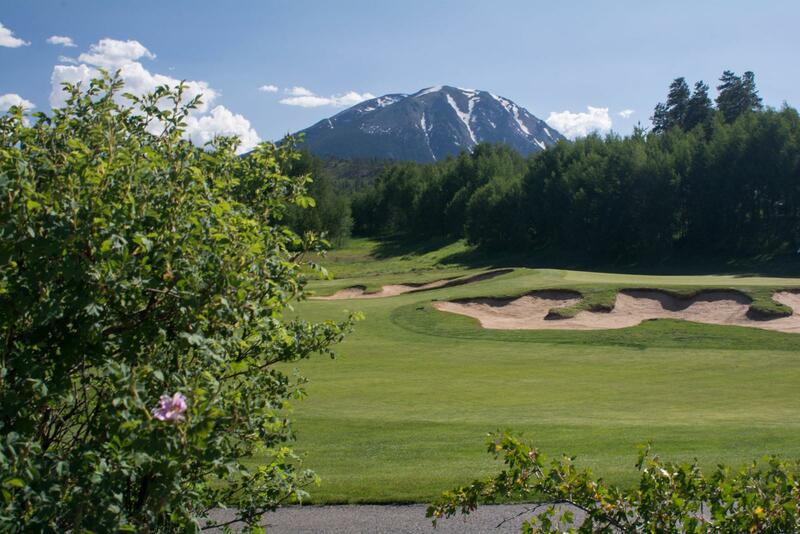 The homeowners association is a community of HOAs that include all the homes that surround this golf course: the older Eagle's Nest subdivision, several townhome developments and the newer, next-door neighborhood called Three Peaks. The community association for Eagle's Nest is an umbrella group for all the various filing and neighbors of this golf course community. They draw the line of inclusion at the border with Willowbrook, a locals-oriented, older and lower priced neighborhood to the south on the west side of Highway 9. Included are the Ponds at Blue River Condos, which is a collection of townhouse buildings of 2 to 3 units per building, located across the highway to the east. These townhomes are located close to the Blue River in an area dotted with several small lakes and former beaver ponds. Charmingly, the HOA is divided into subgroups with names like: Elk Haven and Three Peaks - to identify separate filings of Eagle's Nest Sub, and Eagle's Nest Golf Course Sub (1,2,4,5,6), and more descriptive names like Old Eagle's Nest Neighborhood, and the separate subdivisions (mostly small groups of townhouses) like The Ponds, The Ranch, Fox Valley, Peregrine, Hideaway,Osprey, Homestead, Valley Green. Three Peaks is a neighborhood adjacent to Eagle's Nest, the neighborhood surrounding the Ravens Golf Club at Eagles Nest developed by East West Partners. Single family homes in what is known as Three Peaks are those around Two Cabin Drive in Eagle's Nest Golf Course Filing #4. See this neighborhood. The first homes in Three Peaks were built in 2000, and in total there are 37 lots in this filing, and about a quarter of them are vacant. The average lots size is about an acre, but of the building sites they ranges fro 4 acres to .85 of an acre. This section of the Eagles Nest neighborhood is up higher toward the peaks of the Gore Range. Unlike the neighborhoods closer to the highway, Blue River Parkway, this section is all single-family homes and backs onto national forest. The various legal subdivisions and their approximate lot count. Click on one of the links below for a search for homes (not included in the above list of homes for sale in Eagles Nest) available in the particular neighborhood neighbor. Established in 1985, most homes built in the 1990s. Hideaway: 3 filings, and three clusters of 26 townhomes in each, located along the Blue River. 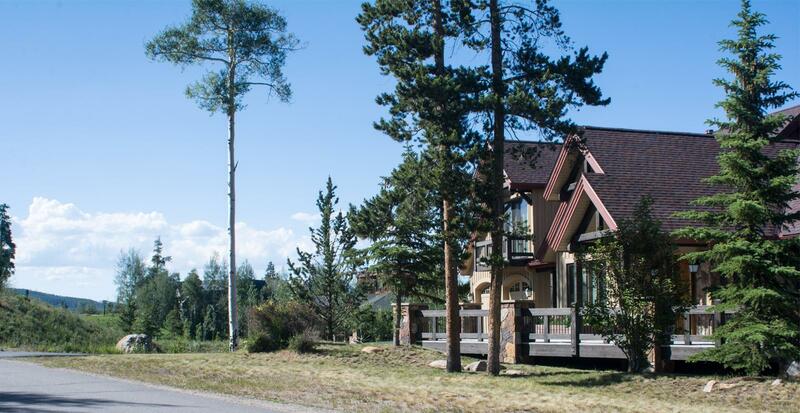 Aspens at Eagles Nest: 51 lots, none vacant. The Ranch at Eagles Nest: 15 single family lots, and some duplexes at the center of the neighborhood. Osprey Reserve: 9 buildings of duplex homes, near the golf clubhouse. Peregrine Ridge: 18 townhomes right on the course. Homestead: 10 single family developed lots near the pro shop. Valley Greens: one small condo building on the south end of the neighborhood. The Ponds: a townhome neighborhood across Highway 9 from the golf course that is part of the Eagles Nest HOA.